Hindsight is 20/20, but looking back, I see how both exhibitors and attendees like myself could have planned better. Heading into CES, I expected an overwhelming experience: long security lines at entrances, huge crowds clogging aisles of booths and expo floors so expansive that it’d take an entire day to cover just one venue. While there is a lot to see at CES, I thought it was organized fairly well. Mind you, this is an account of my personal experience, and I can’t speak for the other 180,000 or so attendees. Security guards often let me walk in without checking my bag, which was unnerving but efficient, and I never waited in a line to get inside. (That’s possibly because I never arrived right at 9 a.m. when it opened, thanks to my writing schedule.) Traffic wasn’t too crazy, except for on the day it rained, which is a rarity in the desert. Another aspect that surprised me was the lack of Wi-Fi on the expo floors. I’d assumed it’d be spotty at best due to volume (despite it being a tech conference in 2018), but on the first morning, after asking fellow attendees who explained they’d found it wasn’t free or that they were using their phones at mobile hotspots, I started using the jetpack I brought and never looked back. I highly recommend anyone who needs an internet connection at next year’s CES brings their own, even as a backup. Same goes for power. Bring external chargers for your phone. I had three which I charged nightly at my hotel, and my phone didn’t die all week. On Tuesday, the first full day, I felt my best (and most rested). This was the day I explored parts of two different venues, moderated a panel on crowdfunding, sat in a Byton concept car and documented it on Entrepreneur’s Instagram story and walked around the expo hall that featured the biggest car companies. I think I enjoyed this day the most because I was extremely focused -- panel, cars, Byton, more cars -- which helped me not to get overwhelmed. This should go for anyone going to these huge events: Have a plan, but also give yourself a bit of flexibility to explore. 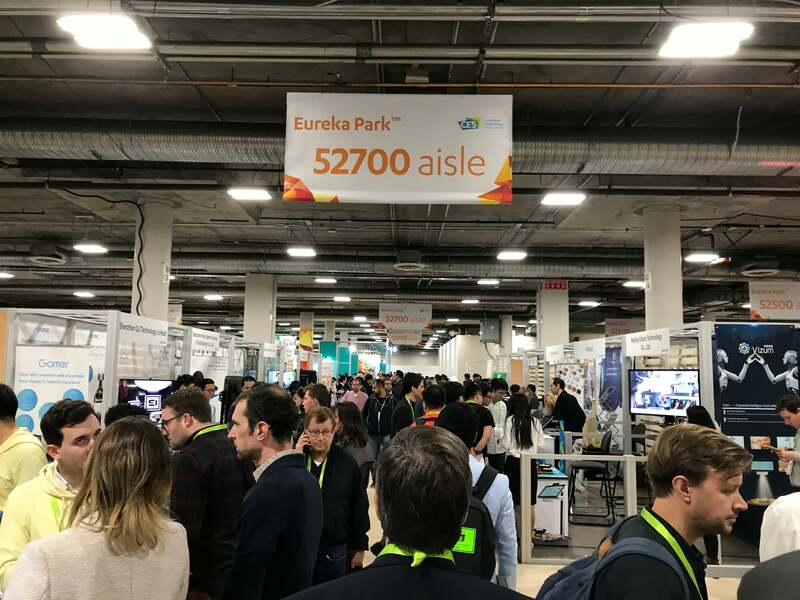 One of the major selling points for CES was Eureka Park, an area where up-and-coming startups were showing off the latest innovations to change the world. While, it was supposed to be a highlight, it was a bit underwhelming. The booths at Eureka Park were often not very elaborate given their small size, which left the products, signage and company representatives to speak for themselves. Sometimes, it wasn’t clear what the product even was. Given that there were about 900 startups in Eureka Park, if I couldn’t determine what the startup was all about in about 10 seconds and no representatives engaged me during that time (which surprisingly happened often), chances are I was going to walk past. 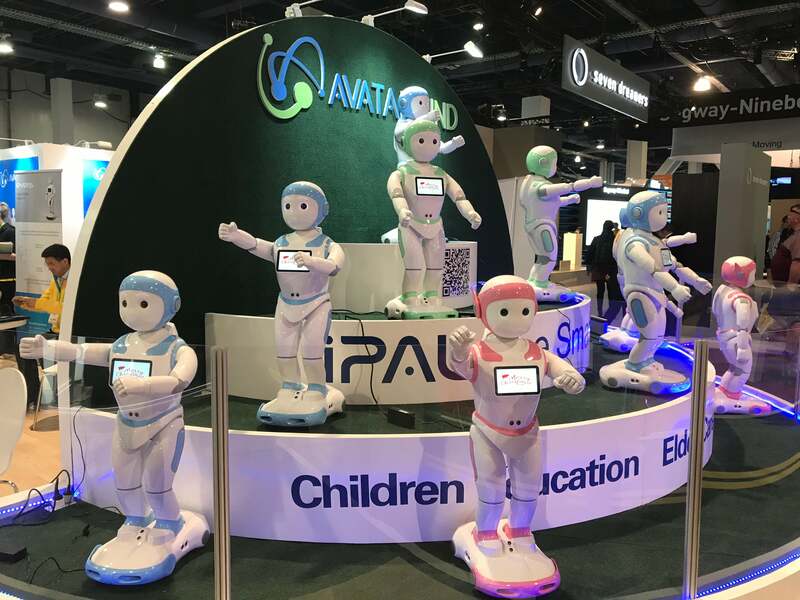 Plus, some companies seemed to have B2B solutions, which, while supplier and vendor connections are a key networking opportunity at CES, I couldn’t help but think they shouldn’t have been among fully fledged consumer products on expo floors. There is always the one company we spot at CES that is a bit of a head scratcher. Last year, it was card company American Greetings (which ended up being our news director’s favorite booth). This year, it was the United States Postal Service. One of the representatives manning it even wore a pin that said something along the lines of, “Want to know why we’re here? 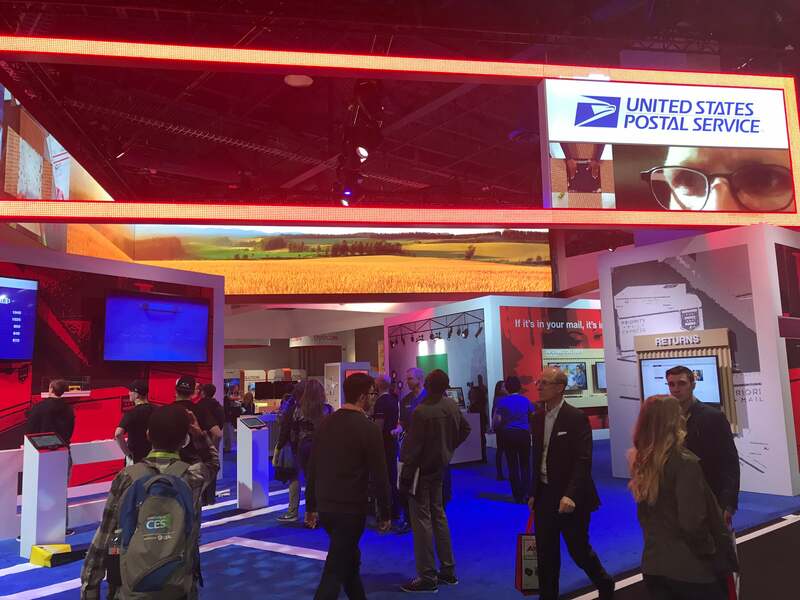 Ask me!” Turns out, the USPS is invested in some of its biggest clients (such as banks that send out a ton of mailers) using technologies such as augmented reality to make their paper products come to life and be more engaging to recipients. Lesson learned: Even the most old-school organizations can make a splash at CES -- even if their strategy isn’t clear at first. If your exhibition is counterintuitive, chances are you’ll get more attention. Skincare company Foreo put on a performance with aliens and hostages to generate intrigue. They called it a PR stunt, and, well, it worked. On the first day of CES, Foreo raised $500,000 in pre-orders for its skincare mask product, the UFO. This goes for companies of all sizes: The people you have manning your booth should try to chat with passersby. Especially if those passersby are lingering, looking interested. I know CES is a weeklong slog of repeating yourself, but representatives should be acting as enthusiastically on Friday as they were Tuesday morning, not on their smartphones ignoring attendees. This was an easy way to whittle down which companies were worth my time -- whether I was worth theirs! CES provides a lot of resources to attendees, including the ability for them to build a plan of which booths and venues they want to hit using floor maps. I did not use this, and wish I would have tried it out before I got there. While I had a good idea of which companies were on display in the Las Vegas Convention Center and the Sands Expo & Convention Center and visited each of those venues multiple times, given what I wanted to cover, it was not immediately clear what I was missing in some of the other buildings. I just wished it was easier to determine what I wasn’t seeing -- perhaps from a list of companies exhibiting at each venue and whether they were in appointment-only suites or drop-in booths. The biggest advice I have for anyone who goes to CES is, seize the moment: If there’s something interesting in front of you, don’t plan on coming back tomorrow. You may not have the chance. Same goes for taking care of yourself: If you see a water fountain, fill up your water bottle. If the line for coffee is short or nonexistent and you need caffeine, grab a cup. And grab a muffin, even if you don’t have time to eat it for a couple of hours. If you’re hailing a rideshare car, don’t wait until you get outside. The wait time will probably tick up as you make your way toward a building’s exit and the designated pickup area. 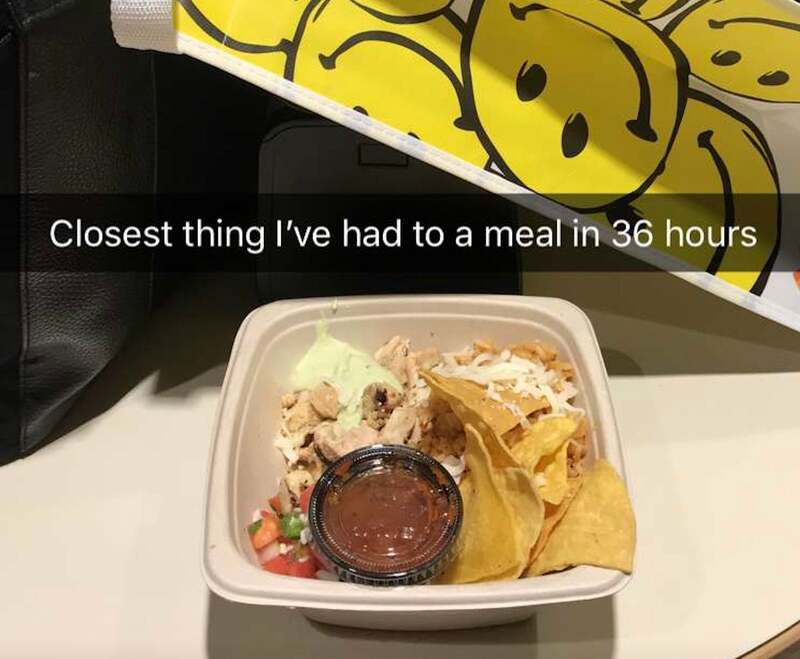 I felt my worst on Friday, and that was less because I’d done too much walking or was mentally exhausted and more because I put working and game-planning ahead of eating, sleeping and hydrating all week. I also advise bringing as much nonperishable food as possible with in your backpack or tote or to keep in your hotel room. If I go to CES in the future, I will plan more in advance so I have a clear idea of what there is to see at every venue and don’t have to spend any time while I’m there trying to figure that out. While I feel like I didn’t miss anything I planned to see and feel content with my experience, I know I could have seen even more that I didn’t plan to. If there’s anything you can do far outside of expo hours, such as email someone, test equipment, shower, etc., do it then. CES is brief and flies by. Again, seize the moment.